Christian O'Brien read Natural Sciences at Christ's College, Cambridge and spent many years as an exploration geologist in Iran, in Canada, and in other parts of the world. In 1936 he was involved in the discovery of the Tchoga Zambil Ziggurat in Southern Iran. In 1970 he retired as the head of the international oil operating companies in Iran, and was awarded a CBE in 1971 for his work. He then devoted his retirement to researching the many enigmas of prehistory, surveying and discovering the Integrated Astronomical Observatory Line A - Hatfield Forest to Wandlebury, near Cambridge, and the Bodmin Moor Astronomical Complex in Cornwall, England, both dated to c. 2,500 BC. He established the overwhelming mathematical probability and proof that these structures were designed for complex observational astronomy and went on to discover from Early Sumerian and other ancient texts, the origin of their builders, and the founders of agriculture and civilisation in the Near East c. 9,500 BC. The Path of Light provides the remarkable supporting evidence from the long lost recorded words of Jesus, rediscovered within the Egyptian Coptic records of the early Christian Church. 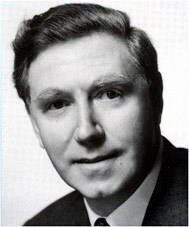 Christian O'Brien died in February 2001 aged 87. In the search with his wife Barbara Joy for the master builders who constructed Line A and the Bodmin Moor Complex, he followed the evidence back to the land of Canaan and Sumeria, and established the need to master archaic Sumerian cuneiform, Aramaic and Hebrew texts and languages. The cylinders and tablets, recording the Kharsag Epics, form part of the Nippur collection held at the University Museum, Philadelphia in the USA. They describe in detail the agricultural, and advanced technical activities of the primary Sumerian Gods, An, Enlil and Ninhursag. The detail within the Kharsag Epics are supported independently by the Books of Enoch, and the early chapters of Genesis. He derived his choice for the location of Kharsag from a wide range of disciplines, including descriptions of the area given by Enoch when he was taken to meet the Great Lord and record all that was going on. O'Brien finally used the French surveyed 1:20,000 map of the area, to eliminate three other possible inter-montaine basins before deciding that the Rachaiya south basin site, best matched the evidence. The Path of Light provides the remarkable supporting evidence from the long lost recorded words of Jesus, but retained within the Egyptian Coptic records of the early Christian Church. The Patrick Foundation Golden Age Project is an independent not for profit research project set up by Edmund Marriage and Barbara Joy O'Brien to continue with the research instigated and conducted by Christian O'Brien.